Very innovative for its time, this stalking-slasher predecessor came before all the better known movies like Halloween and When A Stanger Calls. 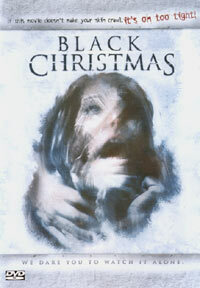 It is Christmas time and a mentally disturbed crank caller is tormenting a female sorority house in a campus town. This psycho actually ends up inside the house and the phone lunacy turns deadly. Very well shot moody subjective camerawork and interesting characters still make this worth watching, but keep in mind it was made in 1974.